This is a stunner. Joe Paterno has never started a true freshman at QB for the first game. Its Youngstown State, but still. 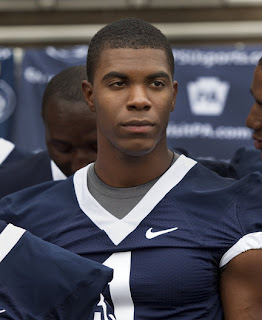 Bolden was picked over Kevin Newsome and Scranton's Matt McGloin. Paterno still calls the three 1A, 1B and 1C but this has to mean something and I kinda like the move. I was never high on Newsome or former walk-on McGloin anyway. Penn State opens Saturday at home vs YSU at noon. The game is on the Big Ten Network.